Over the past few months, countless offices of cities and states all over the country have been vying for the attention of a certain retail giant. After Amazon announced it’s search for its next headquarters, named HQ2, cities throughout North America raced to compile lists of their best selling points and package up their flashiest bribes for the tech giant. Amazon received 238 submissions for their public request for proposal, or RFP, between September 7th and the October 19th deadline. Applications have ranged from serious to silly, with some cities focusing on the economic incentives it can offer and others choosing to get more creative with their resources. Arizona sent Jeff Bezos and team a 21 foot cactus (which the company refused); Michael Jordan personally wrote to the CEO making his pitch for the city of Charlotte, NC; Stonecrest, GA voted to de-annex 345 acres of land to form the city Amazon; and playing a more traditional yet flashy card, Newark, NJ offered the company a $7 billion incentive package. Conversely, Colorado has taken a conservative and private approach to the competition. Reportedly, the Colorado Office of Economic Development, working in coordination with the Metro Denver Economic Development Commission, reviewed 400 documents from Colorado cities interested in hosting the new headquarters and finally settled on eight urban and suburban areas that met the requirements Amazon laid out in their RFP. The state has not disclosed what cities made the cut, but confirmed that Denver is in the running. Economic development officials and Governor Hickenlooper have kept quiet about the details of the proposals because of an apparent non-disclosure agreement with Amazon. In an interview with Colorado Public Radio, Hickenlooper also argued that because Amazon itself is keeping details of its decision-making private, Colorado would respectfully follow suit. As evidenced by this strategy, the state learned its lesson from the ill-fated and divided approach Colorado cities took when trying to lure the second headquarters of another Seattle-based behemoth, Boeing, to the Centennial State in 2001. For the Boeing proposals, each Colorado city that was interested in the new headquarters operated independently and Denver ultimately came in third. In addition to the team approach, Colorado has undergone massive changes in the last 16 years that make it a desirable location for a large, innovative tech company like Amazon. The state’s economy has grown substantially, bright young individuals are relocating here from all across the country, local universities are churning out educated and technically qualified college graduates, and through all of this, residents have generally maintained a healthy and happy lifestyle. This time around, it was important the proposals had a unified voice and highlighted the growth Colorado has experienced, so the state took over the submission process, a strategy that only a few other hopefuls employed. The final proposal came from Colorado as a whole and highlighted eight different cities as potential HQ2 hosts. While little has been made public about the details of Colorado’s proposal, it is clear that the state is not offering the same level of financial pulls many other locations have offered. Instead, according to the Metro Denver Economic Development Commission, the state’s pitch is focused on the high quality of life in the area, a skilled and growing workforce, and a willingness to invest in the future. The notoriously quiet Amazon Policy twitter account retweeted or tweeted references to four of the interested locations: Dallas, Washington D.C., Massachusetts and Colorado. If the tweets are any indication of the company’s leanings, Colorado might be in a promising position. This competition is turning out to be about more than a new Amazon campus. News of HQ2 and the competition surrounding it’s possible second location has brought incredible PR to the company, which amassed it’s highest sales number ever in Q3 2017. It is a genial marketing move to make cities compete in a high-stakes game of economics and local talent. 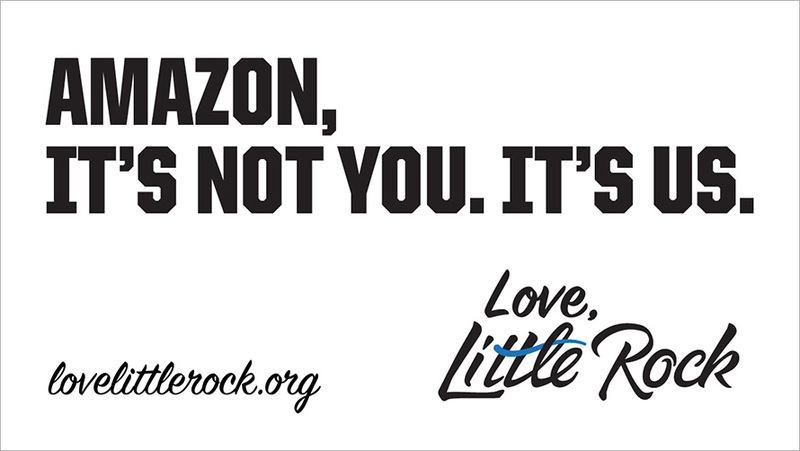 Little Rock's "no thanks" to Amazon has resulted in $2 million worth of free media coverage. While Amazon may not be the right fit for Little Rock, the capitol of Arkansas took this as an opportunity to sing it’s own praises, be a part of the conversation, and hopefully attract other business ventures to the area down the road. This amazing race has come to represent more than where Amazon’s next headquarters will be. In many ways it is about status and recognition, local pride, and giving some sort of measure to the friendly, contentious, and unanswerable question of what city is best. Speculations and rumors are rampant, but only Jeff Bezos and his team really know what will come of this brilliant business move. Amazon has said they will make their decision by the end of 2017, which is sure to kick off an exciting new year for one city--maybe our own.